Tikapur incident accused Chaudhary referred to Kathmandu - Integration Through Media ....! 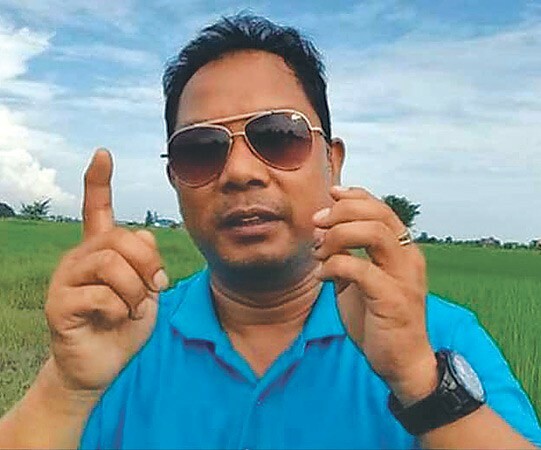 DHANGADHI: Tikapur incident accused Resham Lal Chaudhary, who is remanded in custody, has been airlifted to Kathmandu for further medical treatment, said Chief District Officer Gobinda Prasad Rijal. Chaudhary was referred to Kathmandu by Seti Zonal Hospital, Dhangadhi, he said, adding that he was under medical care, and was taken to the hospital today itself following health issue. Chaudhary will be kept in the Central Prison, Kathmandu where he would be under medical care, he said. Chaudhary, who was kept in Kailali District Prison, joined a hunger strike started in the prison itself by 23 other accused in the incident putting forth various demands. The strike reached the sixth day today. He was elected parliament member from Kailali constituency 1 from Rastriya Janata Party ticket. Chaudhary was referred to Bir Hospital or Tribhuvan University Teaching Hospital for mineral deficiency, said medical superintendent for the Seti Zonal Hospital Dr Sajan KC. The demands put forth by the accused include creating an environment conducive for Chaudhary to take the oath of office and secrecy as a parliament member and fulfillment of Tharuhat demands. Meanwhile, efforts of concerned authorities to break the hunger strike were on, it has been learnt.